LOS ANGELES — When it comes to machine learning and artificial intelligence and their impact on the future of jobs humans currently handle, Robert Brown, associate VP of the Cognizant Center for the Future of Work, has some bad news, good news and better news to share Oct. 18. 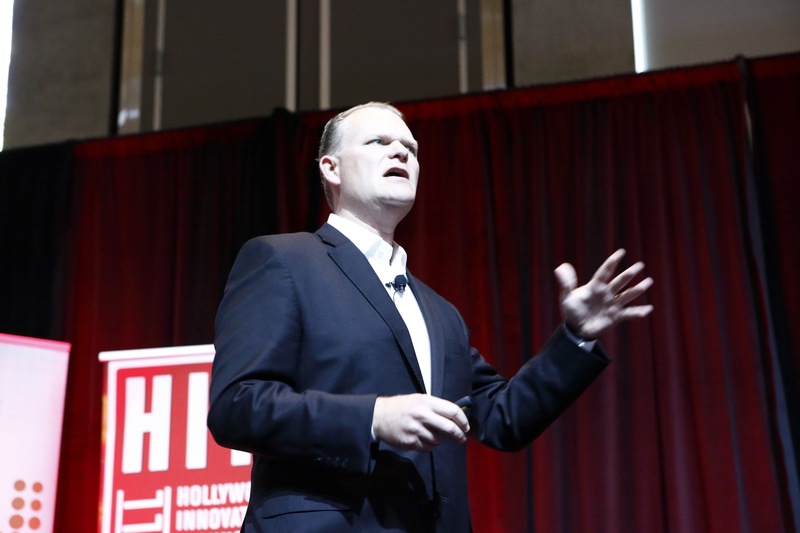 The bad news: Cognizant estimates that AI and machine learning will replace about 12% of today’s human jobs, and that’s “90% of the discussion about [the issue],” Brown said, speaking during the opening sessions of the HITS Fall: Hollywood Innovation & Technology Summit. The good news? Seventy-five percent of current jobs have the potential to be enhanced by AI and machine learning. And the missing 13%? That’s the better news: that’s new jobs these new technologies have the potential to create. For where Hollywood should look for an idea regarding the potential impact of AI and machine learning, Brown pointed to the Budding Effect, named after Edwin Beard Budding, who invented the lawnmower in 1830. That simple invention had an unintended ripple effect, both freeing people up for more leisure activities, but also leading to the development of professional sports (and big business in those sports). Brown sees AI and machine learning, instead of being a threat to humans, as a potential boon, creating new industries and positions, especially in media and entertainment (think “augmented reality journey builder”). Meanwhile, during the first HITS Fall keynote presentation of the day, Val Wright, a global leadership and innovation expert and author, had attendees do an experiment at their tables, which ended with her asking people to share about themselves with the person next to them. And she noted something that seemed prevalent, not only in the room, but among many in the industry: we don’t talk enough about ourselves sometimes. Wright’s work with executives from the likes of Starbucks, LinkedIn and Google over the years has taught her that businesspeople must become more “thoughtfully ruthless,” which means focusing time and energy on products and customers, not the internal nonsense that often dominates a workplace (think too many meetings and too many emails). And part of what she wanted HITS Fall attendees to take away from her presentation: learn how to say “no” more often. The 2017 edition of HITS Fall was presented by Cast & Crew, with sponsorship by Ooyala, Sohonet, Microsoft Azure, Premiere Digital, TiVo, LiveTiles and Veritone. Produced by the Media & Entertainment Services Alliance (MESA), the event’s association partners include the Hollywood IT Society (HITS), the Smart Content Council, Women in Technology Hollywood (WiTH), the Los Angeles chapter of the Information Systems Security Association (ISSA), and the Content Delivery & Security Association (CDSA).